hello, friends! I’m sorry it’s been a little quiet around these parts…I jetted off to san antonio for a much-needed vacation, and I had fully intended to put some posts up while I was there…and then life happened. I was so, so sick just prior to leaving and while I did get well enough to fly on a plane, I wasn’t quite 100%. the warm, texas air helped, as did not having anything pressing to do, but I found myself too easily fatigued from the smallest things. I took many naps in between eating lots of barbecue and just let things go. I’m much better for it, but I did miss my little corner of the web here. I’m much, much better, although I still have frequent coughing fits that just won’t quit. I have plenty of photos from texas to share, but I’m still working on getting those all together, so today’s post is on what I ended up getting from the sephora beauty insider sale that ended yesterday. I’m pretty proud about how I really kept a tight list this time around. I’d been wanting this concealer brush for awhile now, so it was on the top of my list. 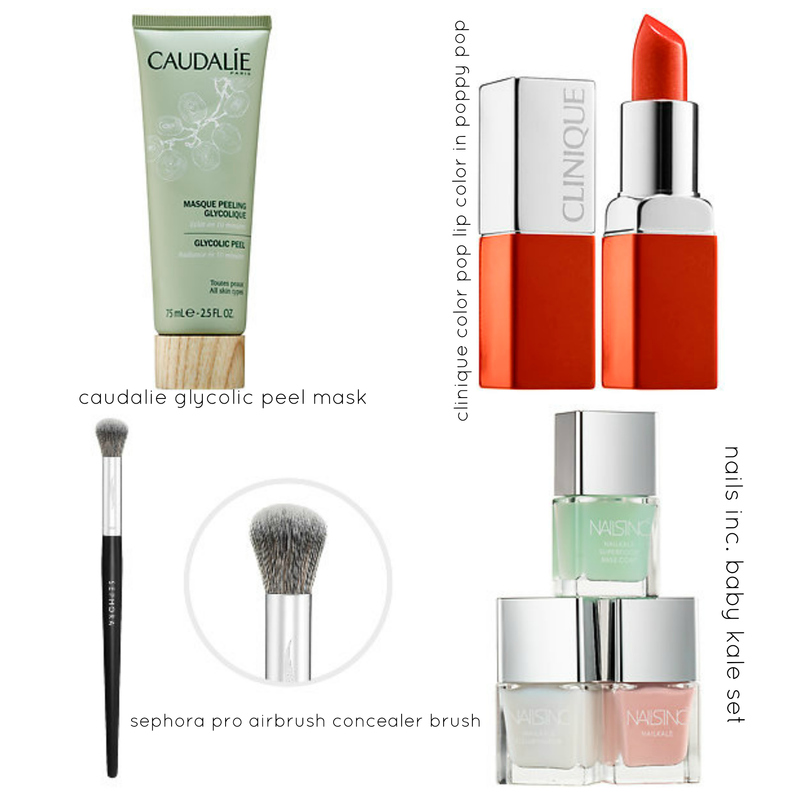 I was also looking for a great orange-red for the warmer months, and when I saw this from clinique, I was sold. the color, the name, the packaging…everything is just too adorable. I also picked up this little nail set from nails inc., which has quickly become a favorite nail polish brand for me. it comes with a base coat, an illuminator, and a soft pink shade, all from their nailkale line. the last thing I picked up was this mask from caudalie. I’ve been having really dry, uneven skin on my face that I’ve been trying to deal with for the past couple of months. my makeup wasn’t applying right, everything looked uneven, and I was just a little bit frustrated by it all. I’ve tried a couple of masks recently, but none were winners in my book, so I decided to give this one a try. I’ve only used it once, but after one use, I think it’s love. I’ll keep you guys posted. reviews on all of these items will find their way to the blog once I’ve actually received them (the only thing I bought in store was the mask) and had the chance to give them a fair try. did you pick up anything from the sale?